YiOu Wang is the 50K trail national champion and has won multiple 50-milers. YiOu Wang is a 50K national trail champion now, but she wouldn't have always recommended running. She was overweight as a girl and didn't play sports. "I was very unathletic growing up," said Wang. But after starting college to study chemistry at MIT in 2003, Wang watched the Boston Marathon and everything changed. "I just thought it was the most amazing spectacle of joy and pain and suffering. I wanted to do a marathon, specifically Boston," she said. There was just one problem. She couldn't run a mile. So Wang found a couch-to-5K online training program, designed to get inexperienced runners to a fitness level to successfully complete a 5K. She started working her way through the digital courses. Soon she was able to run a half-marathon and eventually a marathon, with the goal of qualifying for the Boston Marathon. At her first marathon in Cape Cod, she qualified for Boston and ran the marathon in 2005. Then she decided she'd try to run the next year's Boston Marathon even faster. 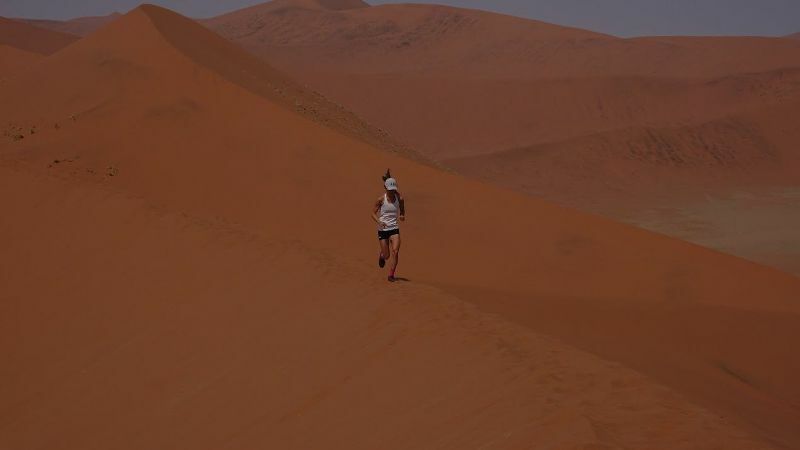 She joined a training group and kept improving -- running 30 seconds over three hours in 2007, and then finally breaking three hours once she moved out to California. "She's extremely motivated, one of the most goal-oriented athletes I've worked with," said Mario Fraioli, who's coached Wang for the last three years. Wang used that motivation and goal-setting to stay focused now while flying around the world. 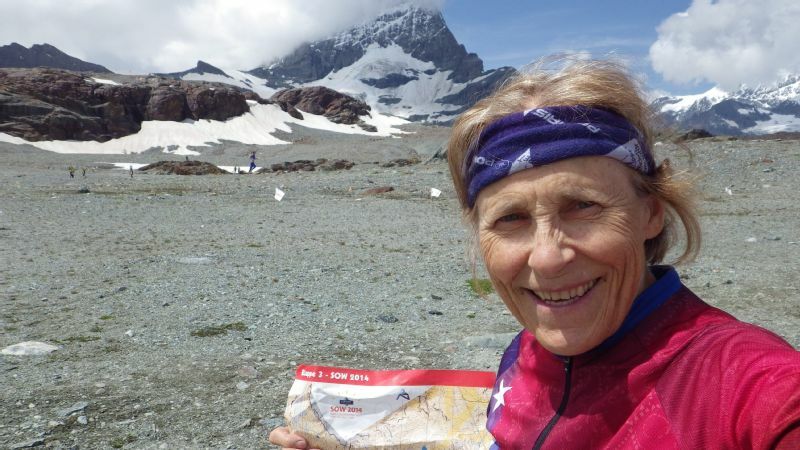 Even though she's traveled to over 30 different countries in the last 11 months, she's still hard at work preparing for the 119-kilometer (about 74 miles) Ultra-Trail Sur les Traces des Ducs de Savoie in August. Known as the TDS race at the Ultra Trail du Mont Blanc (UTMB) running festival, the race is famous for its mountainous route and for hundreds of runners scrambling up and down through the Alps. Just like Wang had never run a mile when she started, she never thought she'd run longer than a marathon. "It seemed crazy," she said. A few years after college, Wang and her husband, Sean Pont, moved to the San Francisco Bay Area without jobs. "We were 24 years old and optimistic," she said. He started working in tech and she was offered a job teaching science and math at a small private school. And living outside San Francisco had another bonus: lots of trail runners and amazing trails. Wang spent 10 months traveling around the world as a tutor, all while running through different cities. 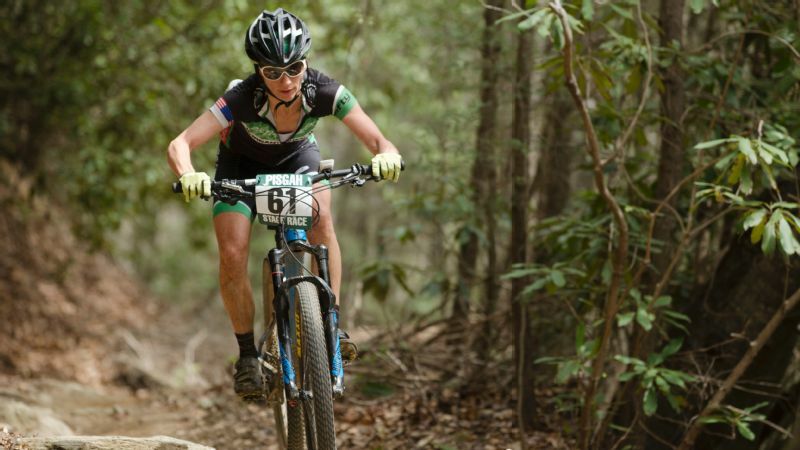 "I started finding a lot more enjoyment on the trails," she said. And Wang started running farther and farther. She also went through a few years of injuries -- a hamstring injury, a sprained ankle, ligament damage and surgery on her ankle joint. When she started working with Fraioli in 2016, the focus was on just staying healthy and putting in a solid block of work. It worked. 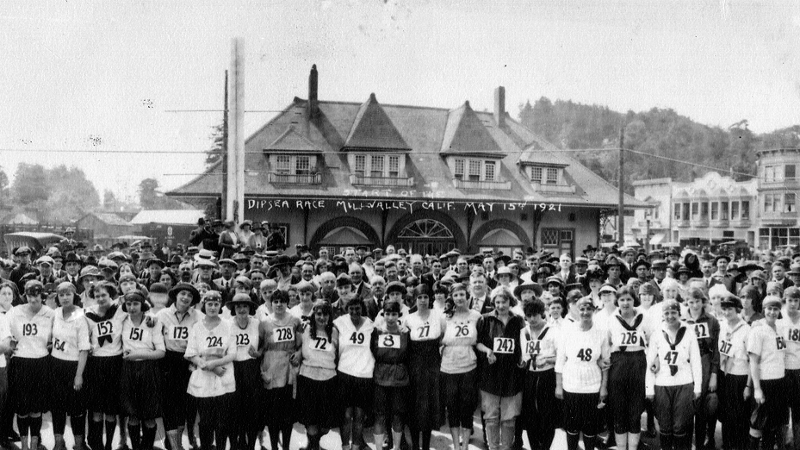 That year she won the competitive Lake Sonoma 50 mile race (which she's since won again). Since winning Lake Sonoma 50, Wang has become a top ultra-runner, while still teaching at the small private school. The private school was where she got to know the family of two of her students. They were considering taking their high school-aged kids on year-long trip and they asked if she wanted to come along as the kids' instructor. "I think we talked about it for about 10 minutes," said Wang. It was a "dream opportunity," even if it meant she'd have to put her race schedule and life on pause. She left in mid-August 2017 -- the family with their two kids, Wang and her husband, and two pilots. They started out in Africa, where Wang was impressed by the hundreds of people out at 5 a.m. in Ethiopia running the switchbacks in the park. On a safari, she'd run laps around the camp. In Botswana, a guide followed them on a run through the salt pans in the middle of the day when the animals would be sleeping. After they finished, they found out they'd run by a lion laying in a bush 100 meters away. In Southeast Asia, the traffic and stray dogs were the toughest part, until she started running with a big stick. In China, the air quality was too bad to run much outside. 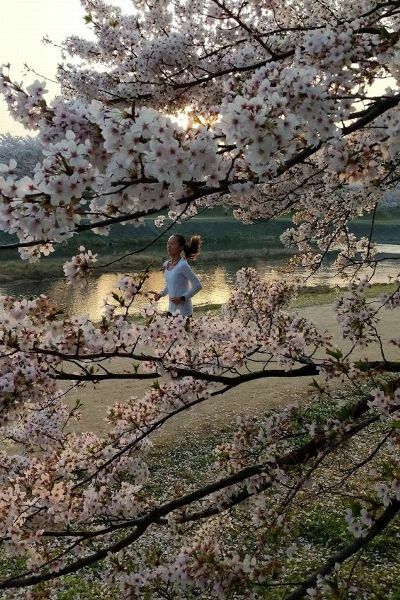 In Japan, she jumped into a local 5K and ran around the parks. On the island of Bora Bora, she was stuck on a treadmill. For the first half of the trip, she mostly just ran and explored the towns. The schedule was organized by a travel agency and she simply received an itinerary, full of planned tours and scheduled excursions, in addition to tutoring and lessons. The hard part was getting enough sleep and fitting everything in; sometimes they wouldn't get into the hotel until late and she'd be up early the next day for her run. For the second half of the trip, she asked Fraioli to make her "the world's most flexible training schedule," she joked. They started a Google document, with her dates and links to where she'd be staying. She'd do a lot of planning in advance, looking at maps, but she also knew that sometimes she just couldn't fit things in. If there were no hills, then she couldn't run hills. Still, she got the work done, even in between everything. "She hit 90-95 percent of the workouts," he said. "She just never let any of it rattle her." "It was really about finding a solution," she said, figuring out what needed to happen to get the work done. Sometimes that meant relying on honey packets and Mochi for nutrition and rotating the same two long sleeve shirts over and over. Sometimes her motivation would be lacking, but that isn't different than anyone anywhere. "There's just more unknowns to deal with," she said. And even if it isn't always easy to do serious workouts, Wang never regrets running while traveling. "You should always run when you're traveling," she said. "It's an amazing way to see your surroundings and obscure real locations, to see what it's actually like."